With all of the rigmarole that goes into packing up your old home and moving into the new one, there are a lot of details that can get lost in the mix. From cleaning up the old house to handing over the keys, there’s no shortage of small tasks that need to be completed. 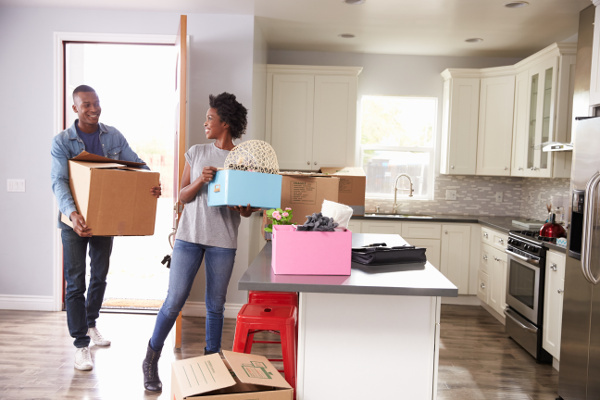 If you’ll soon be prepping for the exciting move into your next home, here are some ways to prepare yourself for this busy time. Do A Spring Clean, Even When It’s Not Spring! Spring cleaning may be something that people only do once a year, but it’s actually a great way to prep for the move you’re about to make. Instead of thinking on a smaller-scale though, you’ll want to hit every room in your house so there’s less to pack up come moving time. While no actual cleaning will be necessary until you’re moving out, this pre-clean is the perfect opportunity to discard unwanted items, shred old papers and drop off any old and unworn clothes in the donation bins. Whether there are supplies you need to buy before the big moving day or a few minor touch-ups that you’d like to complete on your house, start compiling a list of all the things you need to do before and on the day you’re scheduled to move. While these small details can add up to a lot of work, a list will mean that nothing is left behind or forgotten that can create extra headaches when there’s no time to deal with them. Many homebuyers get so excited about the premise of packing that they stick a lot of important items in a box and send them along on the moving truck, but a few boxes with the much needed essentials should be brought along with you. Whether its cosmetics or available food items, having the things you’ll need is the only way to ensure a bit of added comfort on your first night in your new home. Packing up your stuff and moving into your new home is a considerable task, but by being prepared and doing a little cleaning in advance, you can make the process a little bit easier for you and your family. If you’re currently on the market for a home, you may want to contact one of our local real estate professionals for more information.